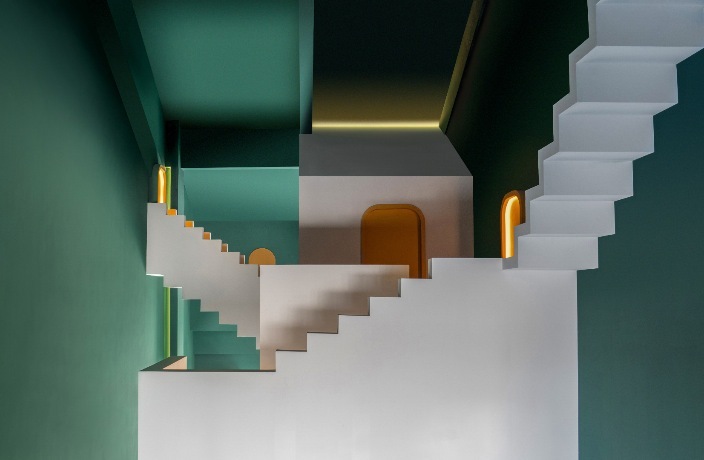 The ‘maze’ room features a forest green interior with sets of Penrose stairs hanging down from the ceiling and shooting out from its walls, along with golden colored doors and windows. Soft pink and white shades dominate the ‘dream’ themed room, while the layout mirrors the ‘maze’ section of the hotel. Clean lines and simple geometrical shapes are two main emphases for both rooms. In order to accentuate the minimalist design approach, all modern amenities, light fixtures and electric appliances are from the room’s surfaces. M.C. Escher’s 1953 lithograph print titled ‘Relativity,’ which depicts a room with seven sets of staircases and multiple sources of gravity, inspired the overall layout. Click here for more Behind the Concrete. All photos by Chao Zhang, courtesy of Studio 10. Labor Day is coming up, and what better way to spend the long four-day holiday than with a bit of relaxation and luxury at Amara Signature Shanghai? Okura Garden Hotel now offers wedding packages perfect for intimate wedding ceremonies and engagement parties.